For those who don’t know- NaNoWriMo stands for National Novel Writing Month. Every November nerds gather in Panera’s across the country for weekly write-ins and forums fill up with the best world building strategies and support networks. Last year, in the last weeks of October, I knew something was missing in my life. At 10:30 p.m. on Oct. 31, exactly 1 1/2 hours before November started, I remembered NaNoWriMo and started my journey to crafting a novel. In the world of NaNoWriMo there are two sorts of people. There is the planner (someone who needs a plan) and there is the pantser (someone who wings it). Last year I was without a doubt a pantser. Starting with little more than a vague thought I wrote a 50,000 word novel. NaNoWriMo is typically done by those who have a love of writing. It’s purpose is to drive those with this passion to complete a 50,000+ word novel, at all costs, within the month of November. The whole thing is very informal and “winning” just gives you the great satisfaction of a project completed along with a very, very rough novel. This year I have a lot more time to think about this whole NaNoWriMo business. For about a month or two I’ve been feeling the excitement. It’s almost November! I keep telling myself. Now, with it being exactly a month away, I’m getting serious. There are several things that are different about this year from last. One, I’m actually committing to it way earlier than Oct. 31st. That’s a start. Two, I’ve got a spur of the moment Paris airport purchase to help me along. Random Fact: The Paris airport sells numerous coloring books for adults. 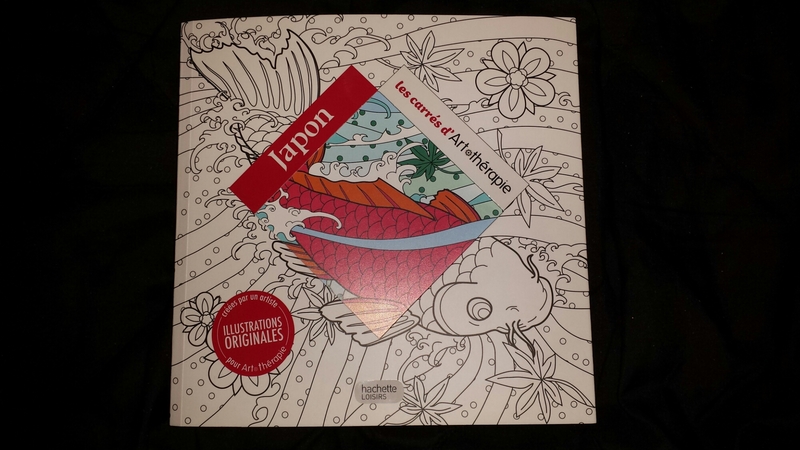 For fun, I bought a Japanese one for Spenser along with colored pencils and a sharpener. 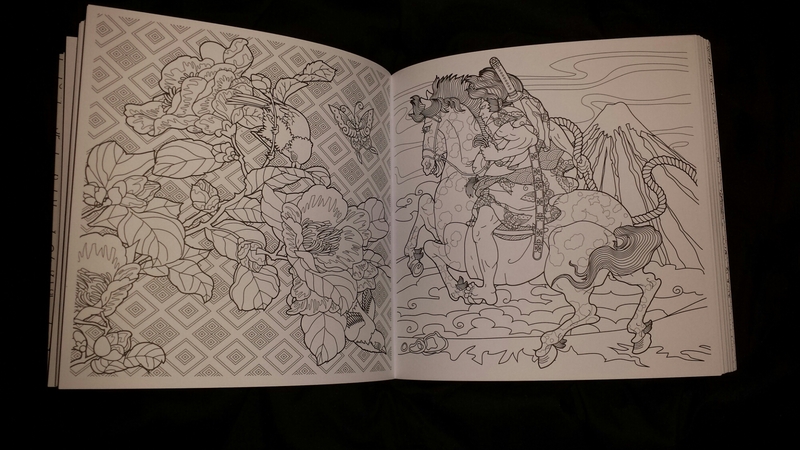 Also Fun Fact: I am the only person who has actually colored in this coloring book. 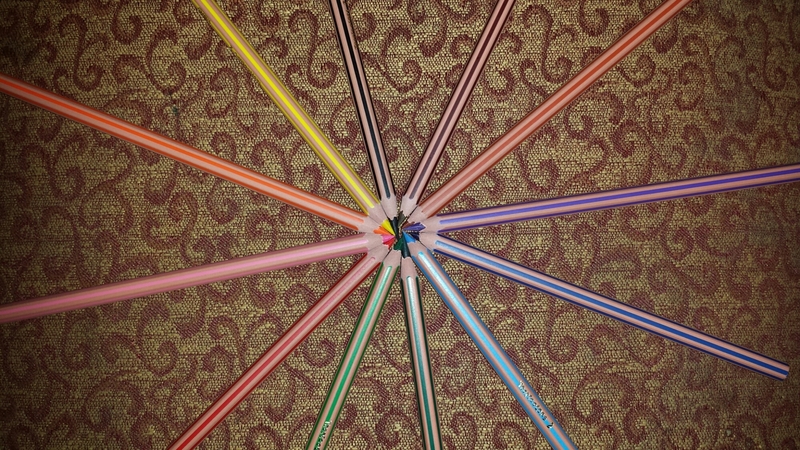 Now you might be wondering, what do colored pencils have to do with writing a novel? Well I’ve tried writing out character qualities, I’ve winged it and I’ve actually created an entire novel from these. But the real question is whether it’s a good novel? Not really. Let’s just say the editing process is going to be really rough. So this year I’m trying something new. It’s something that seems to come more naturally and is more fun than trying to make a list of who my characters are. This year I’m using colored pencils to build the world and the characters that I’m imagining for my novel. So far I have three characters, one enemy, one pet, one guide and three maps very roughly sketched out. I’m thinking that instead of trying to write out character descriptions maybe this might be a better way. When I draw the characters, and believe me I’m really bad at drawing, I think about who they are. What are they wearing? Why? It all tells me a story and helps me to better understand them and their world. To be honest, I’ve got some world backstories going on but the characters I’m still trying to mold. It’s a process and everyday I try to get a little deeper. I know this makes me a bit of a planner but I’m still not sure if I’ve given up my pantser ways. I have not written a single word in my planning but I have a good feeling about it. My head knows the history of the land, it knows where the story is going to end and it knows some of the tiny bits that will lead the story to it. I’m drawing my story as #NaNoPrep but what I really want to know is who’s joining me next month for the novel writing adventure? If you’re doing NaNoWriMo this year message me, comment below or become my writing buddy on NaNoWriMo. I’d love to have people to talk to about this and to have a great support system this year. Three cheers for the writers!